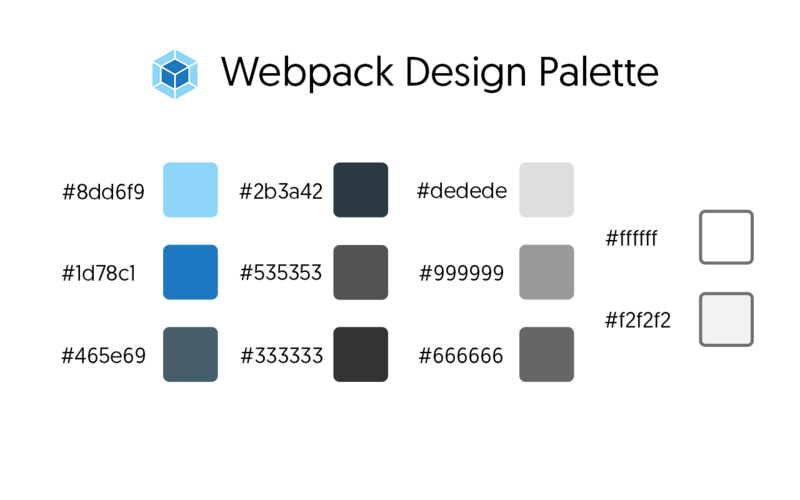 Here you can find webpack project brand guidelines, assets, and license. See our official media repository for more information and to find the license that governs this work. Click any of the images to download them. webpack should always be written in lower-case letters, even at the beginning of a sentence. Just double the size of the inner dark blue cube to get an idea how much space the logo should have. Please use the icon + text whenever possible. The icon is designed to be used in layout-constrained areas. As previously stated, please prefer icon + text. We use the beautiful Geomanist Medium font from the extremely talented folks at the Atipo Foundry who provide the entire font family at a 'pay what you want' model. The following colors are used throughout the site in various combinations and on our fancy clothing line launched with the help of Open Collective and Threadless over at the official webpack store! The logo and the brand name are not MIT licensed. Please check our LICENSE for usage guidelines.